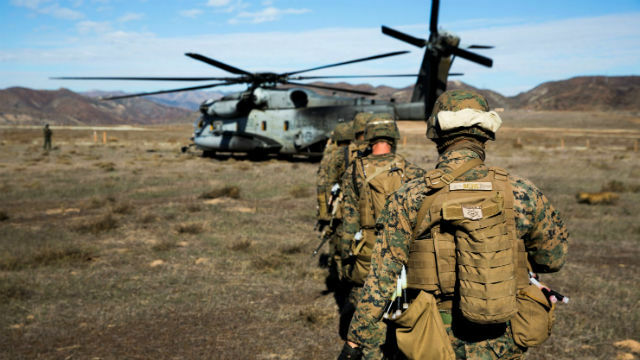 Four off-duty Camp Pendleton Marines hiking in Los Angeles County drew praise Monday for happening upon an ailing hiker and carrying him to where a helicopter could airlift him to a hospital. The rescue occurred around 4 p.m. Sunday on the roughly five-mile round-trip trail to Switzer Falls in the San Gabriel Mountains north of Altadena, according to the Los Angeles County Sheriff’s Department. That’s where a hiker reportedly experiencing chest pain placed an emergency call requesting help from the sheriff’s department’s Montrose search-and-rescue team. As rescue crews hiked downstream, they encountered the hiker sooner than they expected, thanks to the San Diego County-based Marines. “Four off-duty U.S. Marines from Camp Pendleton had run into the hiker downstream and carried him upstream for a more rapid rescue, hoist and transport,” according to a sheriff’s statement. The hiker, whose name was not released, was taken to a local hospital and was expected to `get well soon, the sheriff’s department reported.